FAMILY BATHROOM/W.C. & G. FLR CLOAK RM/W.C. 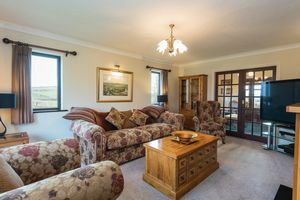 Thoroughly impressive and spacious, individually designed executive style detached house set in extensive, beautifully landscaped grounds bordering open fields and commanding superb rural views. The property boasts extensive parking, a double integral garage, well-designed and extensive accommodation with the grounds boasting a raised barbecue area with purpose built electrically operated rotisserie, with a feature waterfall which cascades down a high rockface to the fishpond, sited adjacent to the beautiful rear sun lounge with decked terrace. 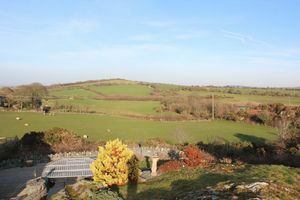 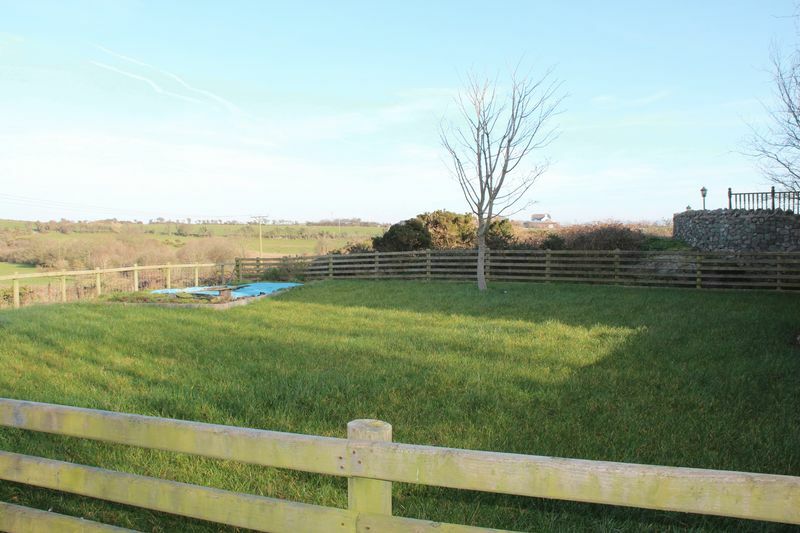 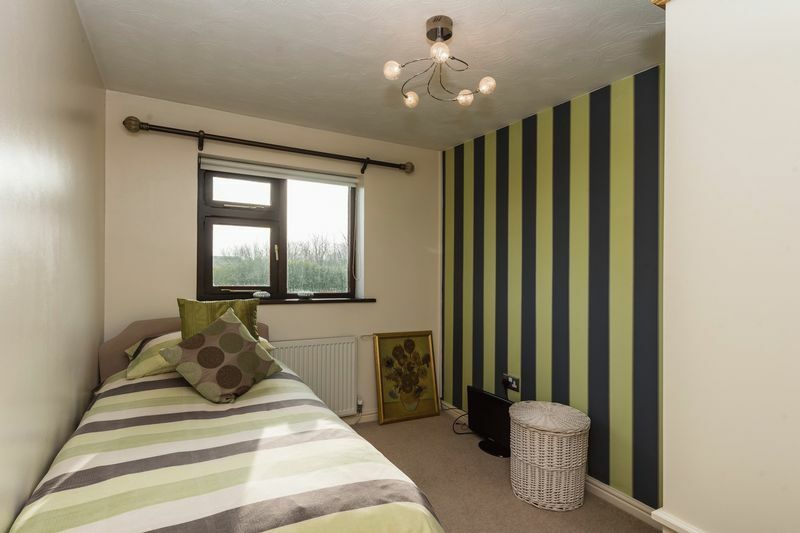 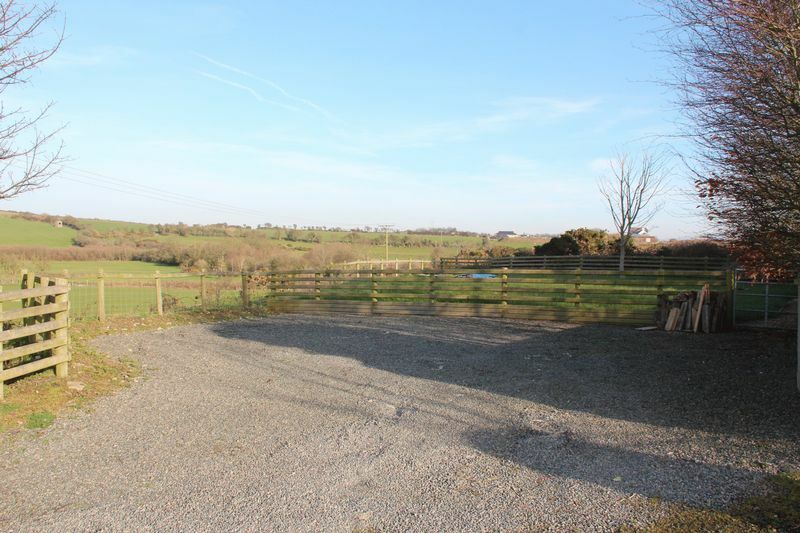 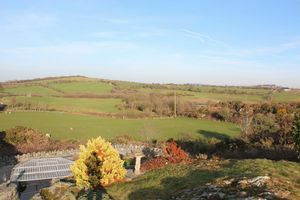 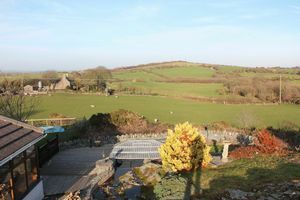 The property abutts open countryside in the village of Caergeiliog, home to the acclaimed Caergeiliog Foundation School, and enjoys direct access onto the A55 Expressway. The superb Cymyran Beach which runs all the way to Rhosneigr, is within approx. 2.5 miles. 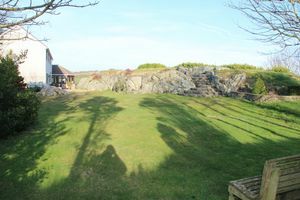 Caergeiliog is also within a stone’s throw of the excellent commercialised village of Valley, the coastal resort of Trearddur Bay, Rhoscolyn and Holyhead town. 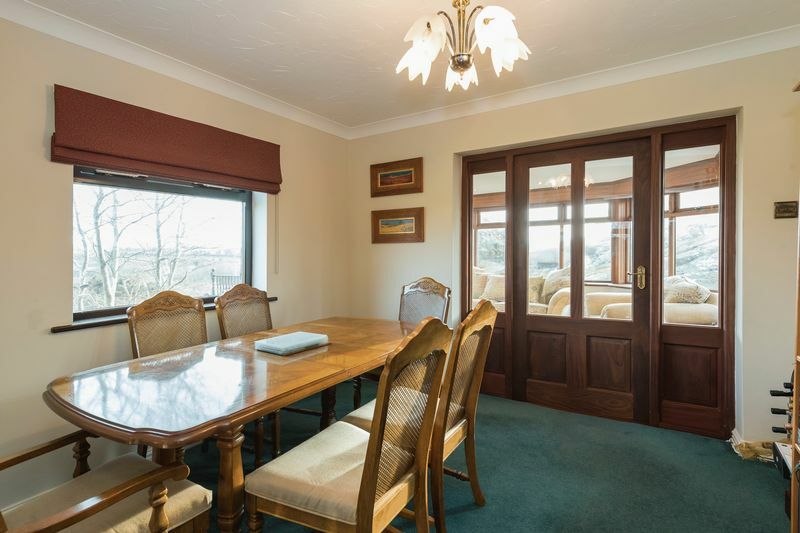 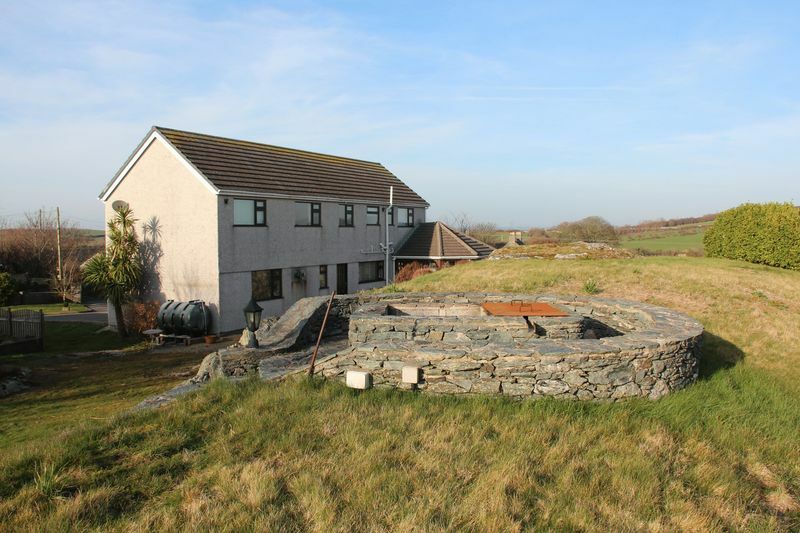 Rhiwlas would make a beautiful family home in an idyllic location. The accommodation briefly comprises hardwood entrance door with 2 leaded bevelled double glazed panels, opening into a sizeable impressive and imposing hallway, with feature staircase, high vaulted ceiling and galleried landing. 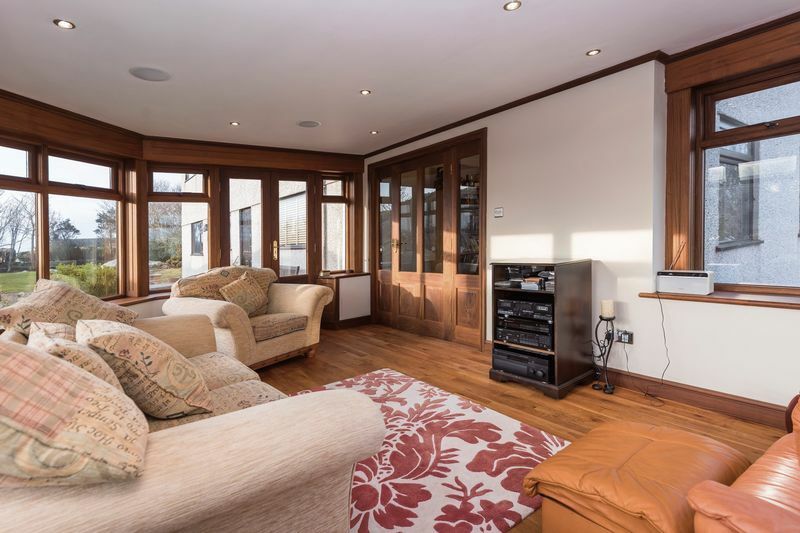 An absolutely beautiful sun lounge with wood parquet style flooring, dwarf walls with hardwood sealed double glazed windows to all sides, with 2 pairs of partial double glazed French doors opening into the rear gardens; the sun lounge has a pitched tiled roof and the ceiling boasts built-in speakers and downlights. There is a lovely snug/study. 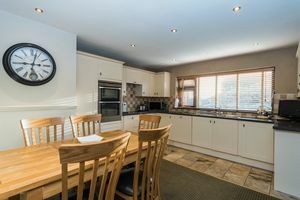 Kitchen/Breakfast Room boasting an attractive fitted kitchen, with an extensive range of worktops, base and wall units, incorporating a stainless steel sink, an electric ceramic hob and integrated dishwasher, there is an integrated extractor fan together with a stand-up larder unit and a further stand-up unit housing an electric grill/oven, partial tiled floor. 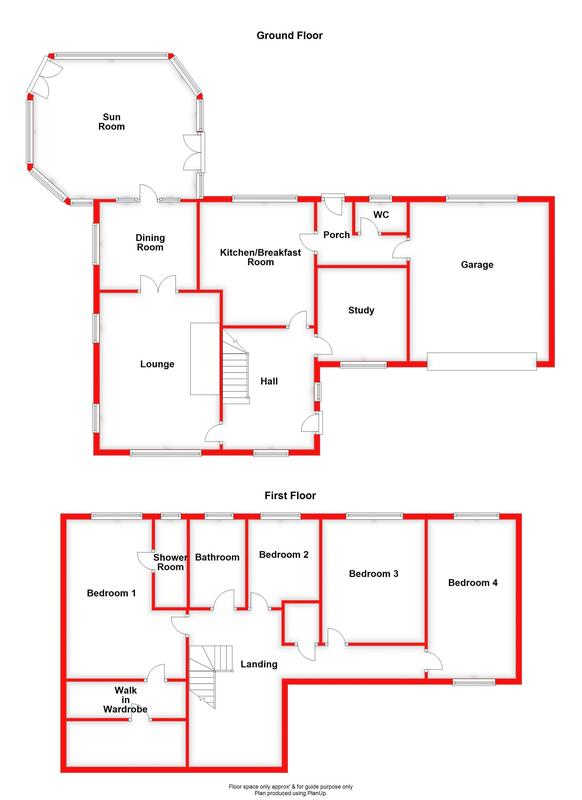 There is an L-shaped rear porch/lobby with tiled floor, with cloak room/W.C. and gives internal access to the garage. 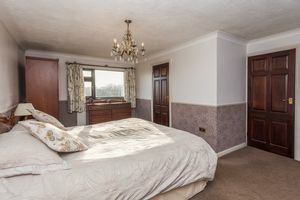 To the 1st floor, the landing has a built-in cupboard with foam lagged tank and shelving, and there are 4 bedrooms with the master bedroom boasting an en suite shower room with 3-piece suite and walk-in undereaves wardrobe/storage cupboard. 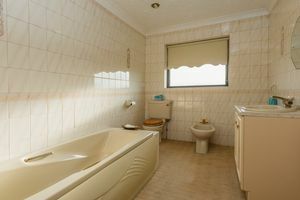 Family Bathroom again which has a coloured suite consisting of a panelled bath, low level W.C., bidet and wash hand-basin set in vanity surround with base cupboards, having tiled walls. 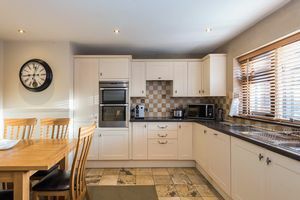 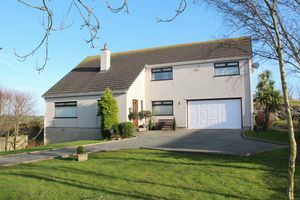 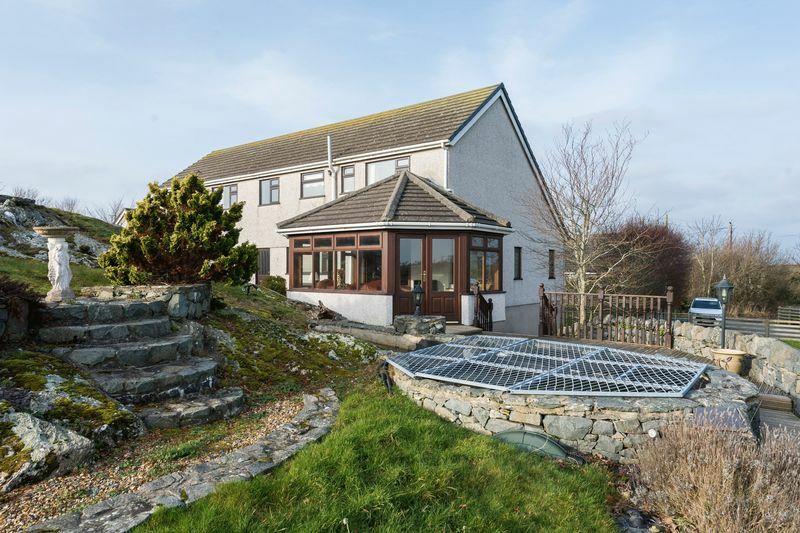 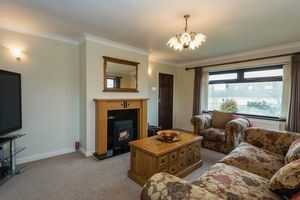 The property is situated in Caergeiliog village, close to RAF Valley and within short driving distance of the superb Cymyran beach, enjoying easy accessibility onto the A5 and A55 Expressway. 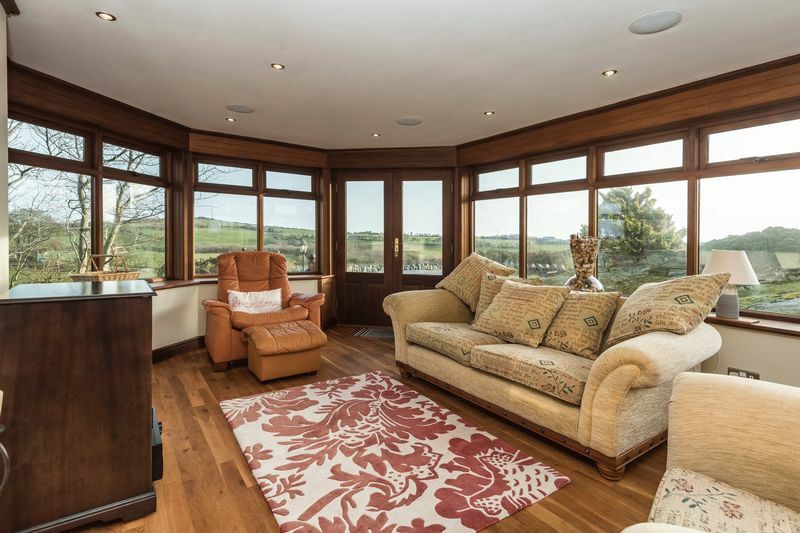 Caergeiliog is extremely close to the impressively commercialised village of Valley (approx. 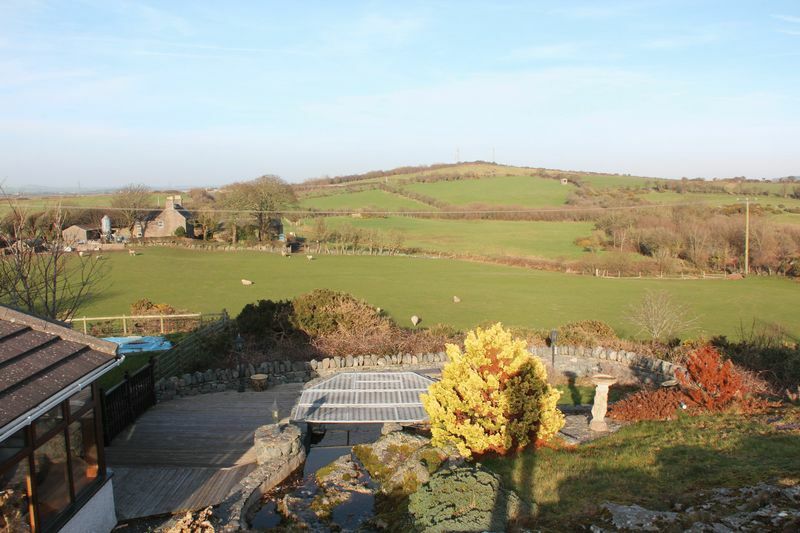 1.6 miles) and Holyhead town is approx. 5.6 miles distance. 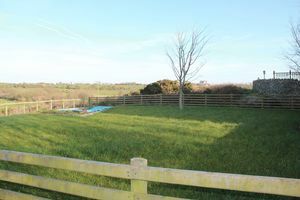 Large overspill gravelled parking area to left-hand side, with gate leading into a lawned garden, enclosed by timber fencing which leads back onto the pathway to left-hand side of the property. 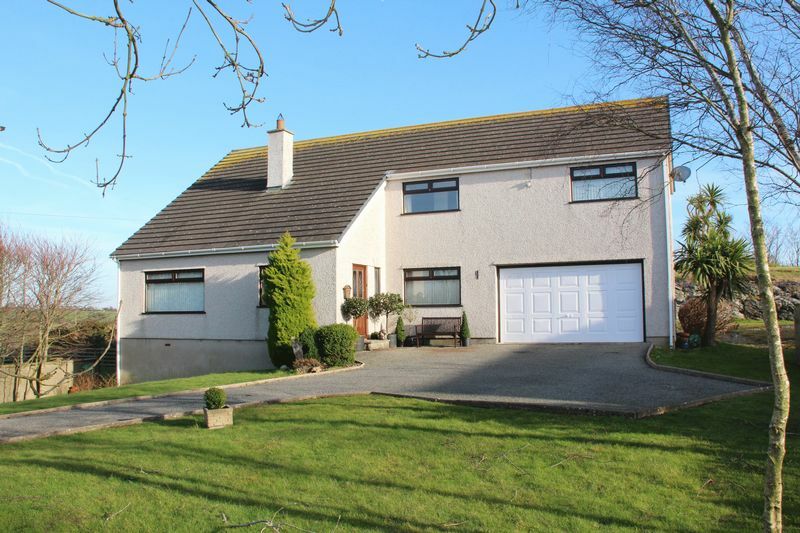 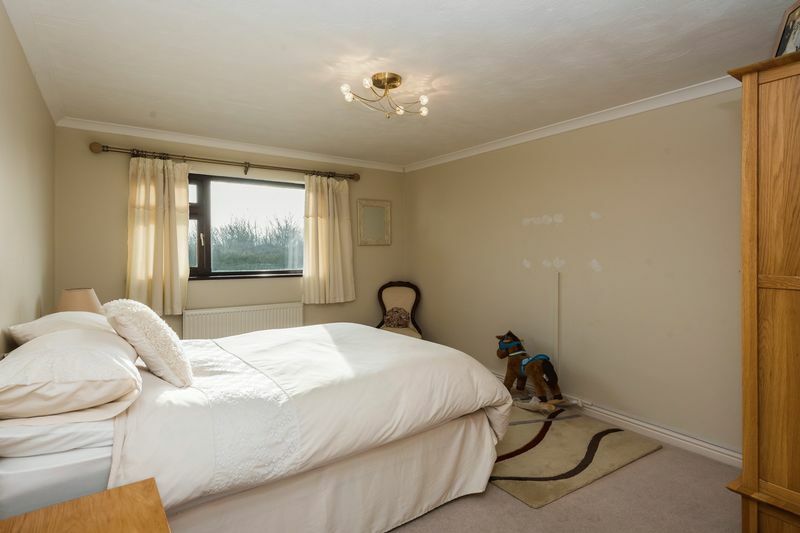 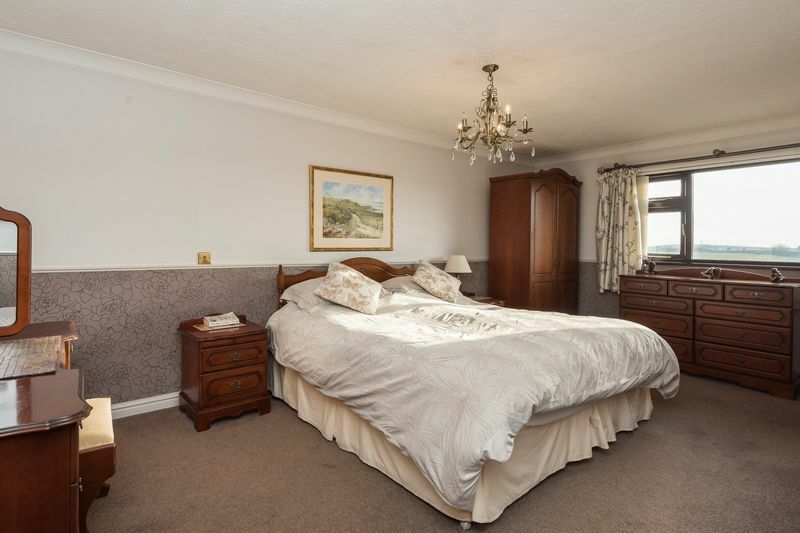 A lovely tarmacadam drive to the front offering excellent parking with turnaround space and which separates 2 lawned gardens, having a variety of mature trees. 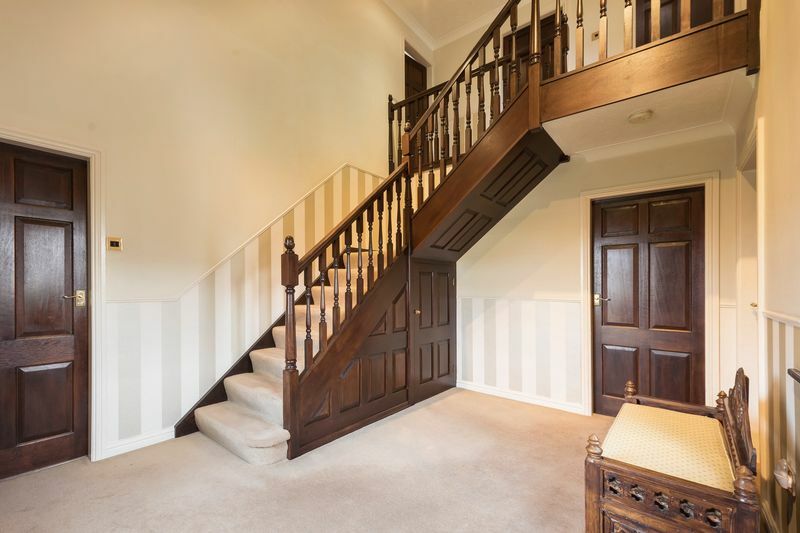 There is a step up to front door. 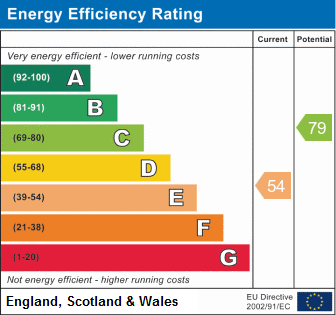 Electric double metal up-and-over door; water tap; hardwood sealed double glazed window; oil central heating boiler; plumbing for a washing machine; light and power. 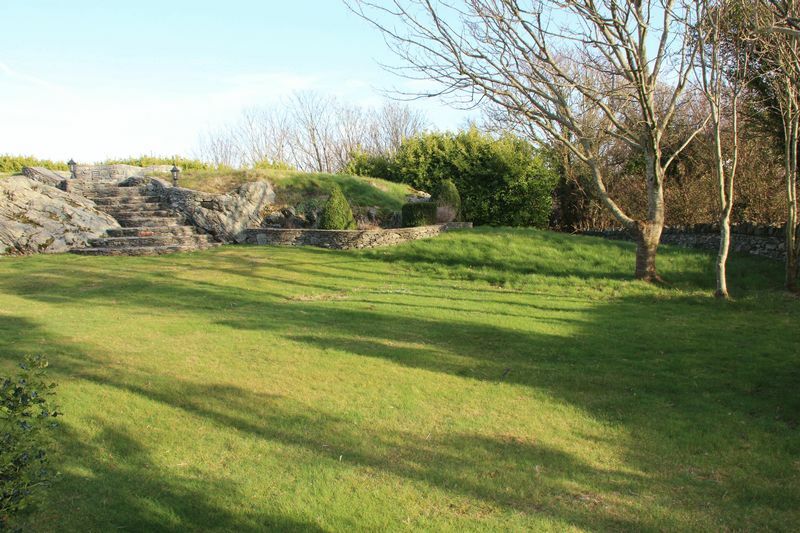 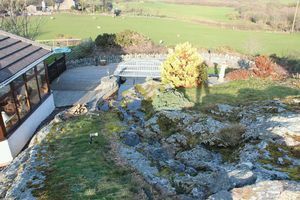 Beautifully landscaped sizeable lawned garden to the right-hand side, with areas of feature rock outcrop and a variety of mature trees and bushes. To the rear, high feature rock outcrop with stone steps lead up to a beautifully designed circular stone sitting area, built around 2 circular stone pits, 1 being a barbecue with plug-in electrically operated rotisserie and the other designed for keeping logs. 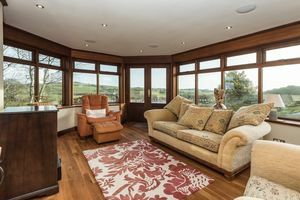 This is a superb entertaining area and which commands lovely rural views. There is a further lawned area to this upper tier. 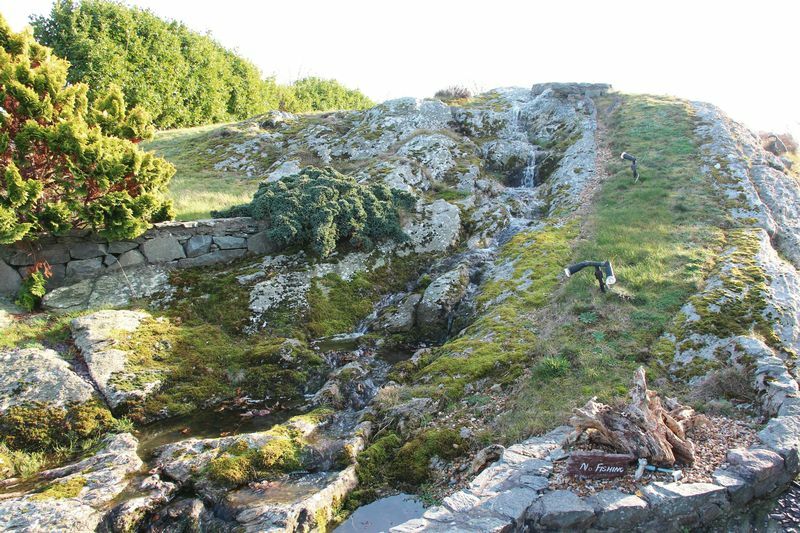 A feature long winding waterfall has been incorporated into the stone outcrop, which runs down behind the sun lounge into a fishpond, alongside which is a lovely timber decked terrace with outside light. 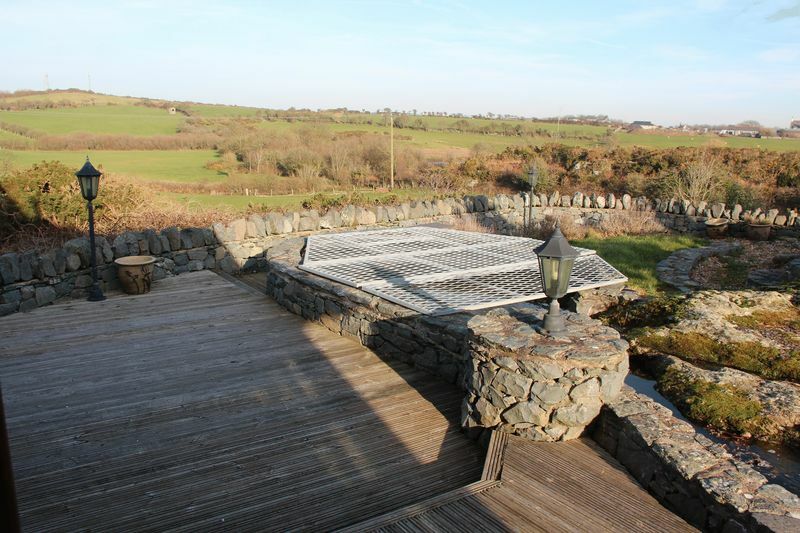 To the rear of the property is a pebbled area with random paved stepping stones, with outside lighting built on feature brick plinths together with a paved patio. 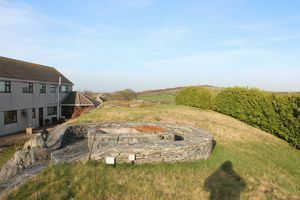 Plastic oil storage tank to the right-hand side. 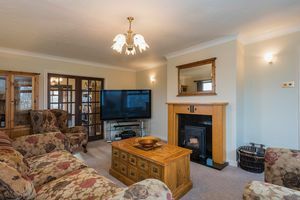 To the left-hand side of property is a brick paved pathway, with an access door to a sizeable cellar with light, comprising of 2 rooms providing excellent storage. 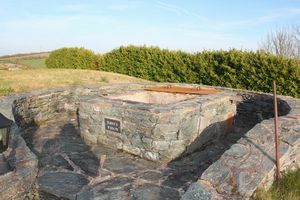 When travelling on the A55 from Holyhead, exit at Junction 3 where signposted for Valley and Caergeiliog, bearing right over the flyover towards Caergeiliog. 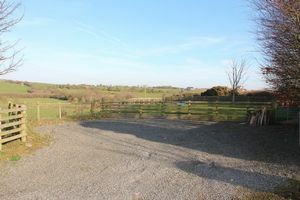 Continue through the village and take the 1st left, after the small estate of bungalows known as Rhen Ysgol on the right-hand side. 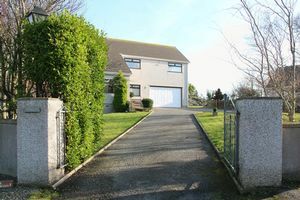 Turn left passing a white painted house on the left, and turn right just after the pair of similar bungalows on the right. 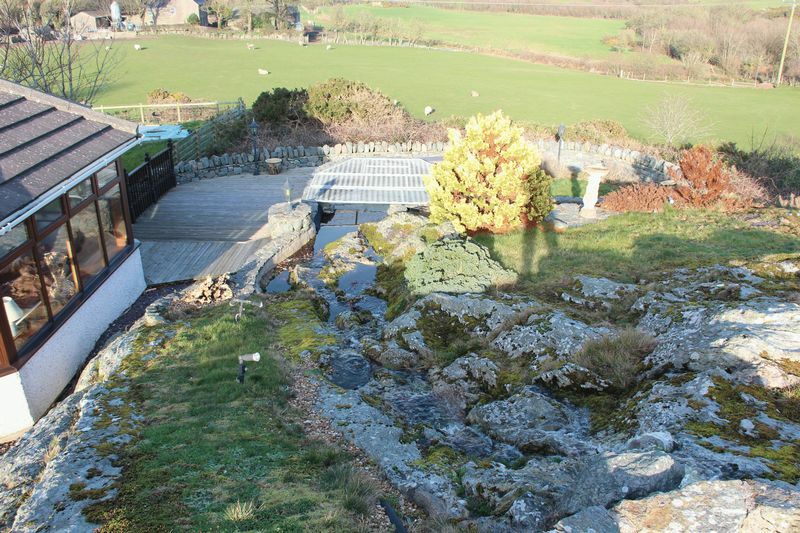 Rhiwlas is facing you.